Enjoy impressive golf course view from this true florida home with bimini shutters, cupola, and beautiful banyan trees. Lanai with it's lovely pool and spa that face sw for amazing sunsets. Front door has glass inserts with decorative pineapple designs. Renovated eat in kitchen has stainless appliances, granite, pantry, thomasville cabinetry, counter lighting, and impact window. Great room has mirrored bar, volume ceilings, and great view of lanai and golf course. Large master bedroom with walk-in closets, plantation shutters and impact resistant windows. Updated master bath has very impressive parrot mural done by a well known artist - j. Innes. Guest room has a large closet and sky light in bath. Master bath, guest bath and powder room have granite counters. Den/tv room has built in bookcase and bose surround sound system. Additional small room allows for compact office space. Storm protection includes electric shutters on the lanai and front entry area with crank shutters on remaining windows. Ac only 4 yrs old. This home is referred to the parrot house due to the mural, the beautiful trees, bimini shutters and character of the home. Players club is optional with this home. 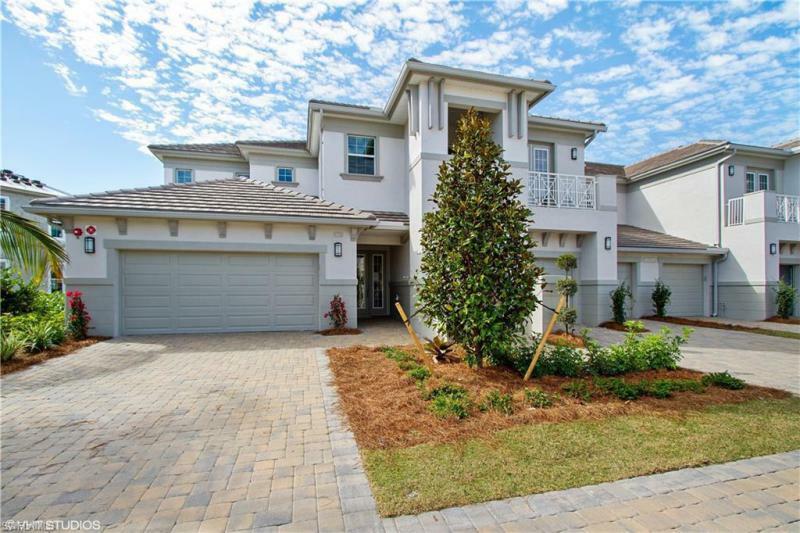 Beautiful waterfront legacy unit in lely resort if you want room and don't want stairs. Though it is listed as a two plus den, the large den area has been transformed into a third bedroom and you still have a den area -- so for all practical purposes it is a three plus den! Gorgeous view, nicely kept interior. Don't miss out! Great lake and golf course view from this highly upgraded home. Two bedrooms, two bathrooms and an extra large den. Kitchen has upgraded cabinets with pull out shelving, granite counters, new refrigerator 2018 and walk-in pantry. Tile in living area and carpet in bedrooms and den. Exceptional fans and lighting fixtures. Crown molding throughout and tray ceiling in great room. Plantation shutters. Neutral colors. 2 car garage. Large in home storage area that can be used as an office, grandkids bunks, or craft area. Community pool within walking distance. This quality home is in excellent condition. Membership at the players club includes 2 lagoon pools, 1 lap pool, 13 tennis courts, restaurant, tiki bar, fitness center, spa, and a full schedule of social activities. 2 public and 1 private golf course within the community. As a lely resident you will enjoy the friendly, relaxing, vacation life style the community has to offer! Meticulous 1st floor coach home, 2 bedroom plus den, 2 bathroom, 2 car garage, impact windows,tray ceilings, open concept kitchen with granite counter tops, breakfast bar, pantry, tile kitchen and hall, the rest is hardwood, double crown, fitted custom master bedroom closet, custom cabinets in garage, fans in every room, new maytag washer and dryer, a/c 3 years old,gated community, end corner unit with private screened lanai overlooking beautiful preserve. Enjoy the amazing lake view with a three tiered fountain and beautiful sunsets at night. 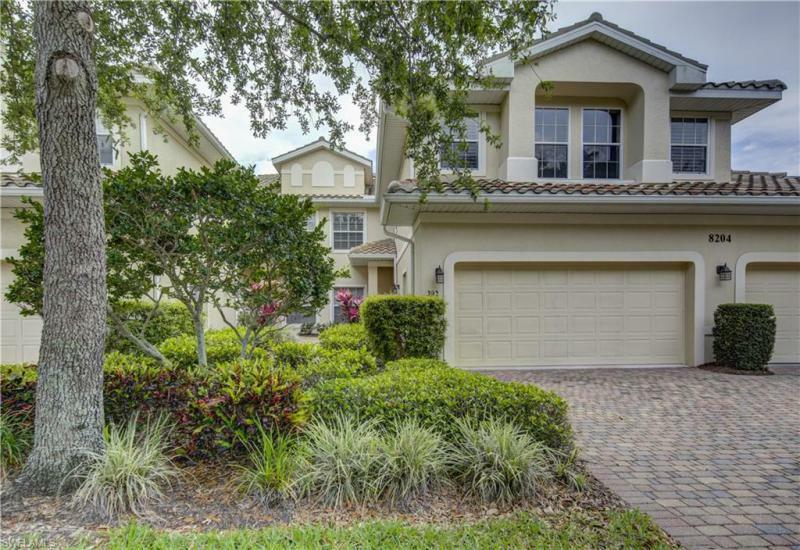 This first floor turnkey furnished condo has a private walk way entry and large side yard. Condo was redecorated two years ago including painting, draperies and blinds. The kitchen has stainless appliances and popular white cabinetry. Two bedrooms and a den that can easily be used as a third bedroom. Master bedroom has large walk-in closet. Master bath has dual sinks, separate shower and deep soaking tub. Lovely lanai overlooks the lake and is perfect for your happy hour. Tile on the diagonal in the living area and carpet in the bedrooms. Ac is 3 years old. Hurricane shutter protection. Two car garage. Alden woods has it's own private pool, hot tub and clubhouse with fitness center. The alden woods clubhouse can be used for your private parties. If you prefer, enjoy the mandatory membership to the players club and spa offering 2 lagoon pools, 1 lap pool, restaurant, tiki bar, outstanding fitness center, spa, 13 tennis courts, bocce, a full social calendar and more. Lely resort has 2 public golf courses and 1 private course. Enjoy the luxurious lifestyle that lely resort has to offer!